Enjoy the best inspirational, motivational, positive, funny and famous quotes by Andrew J. Bacevich. Use words and picture quotations to push forward and inspire you keep going in life! 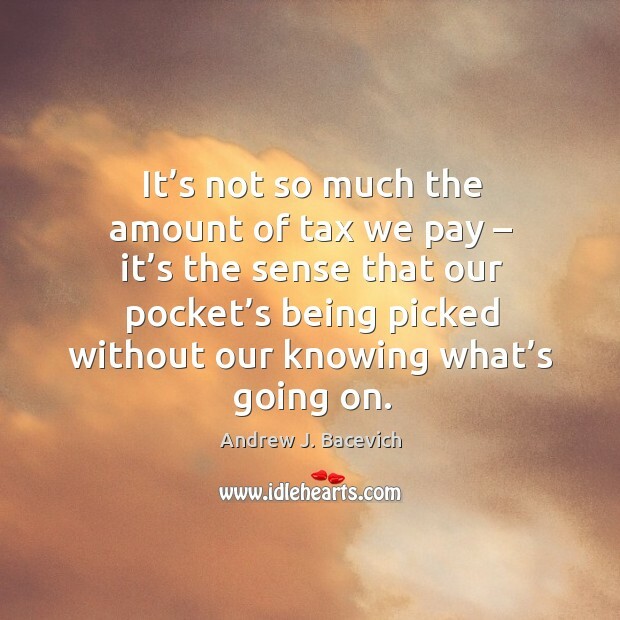 It’s not so much the amount of tax we pay – it’s the sense that our pocket’s being picked without our knowing what’s going on.